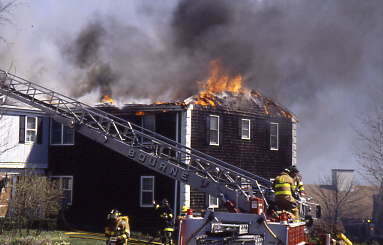 Some action shots just for fun. 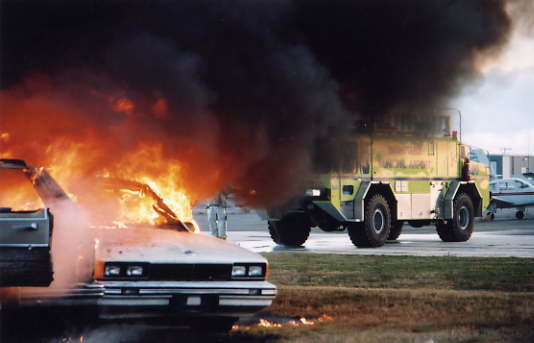 was burned in a training exercise back in the early 1980s. 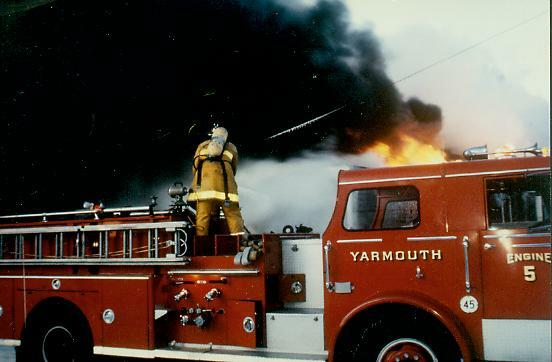 had to be taken to protect the 1970 Ward LaFrance Engine 255. 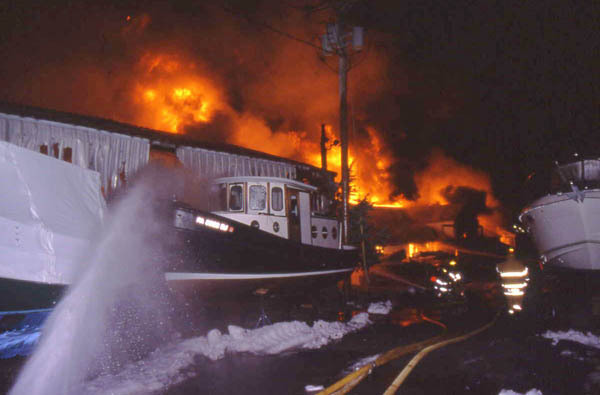 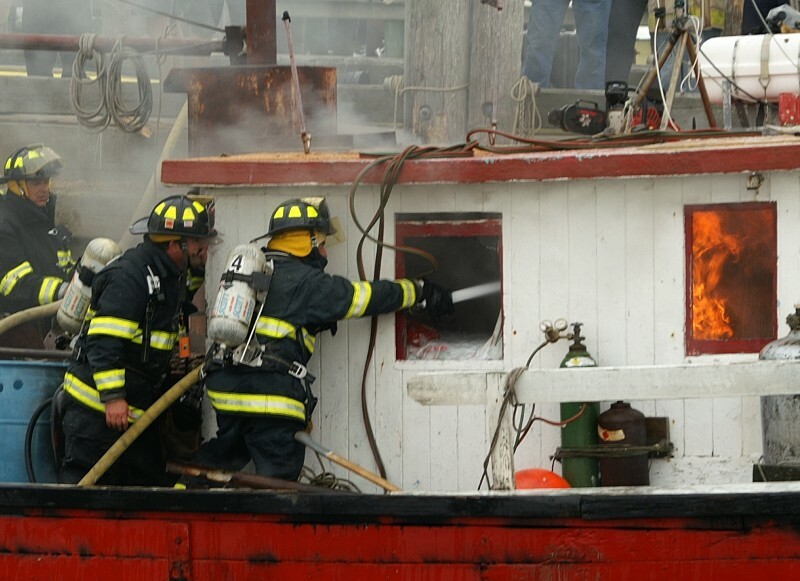 Provincetown Firefighters battle fire aboard a fishing boat at MacMillan Wharf. 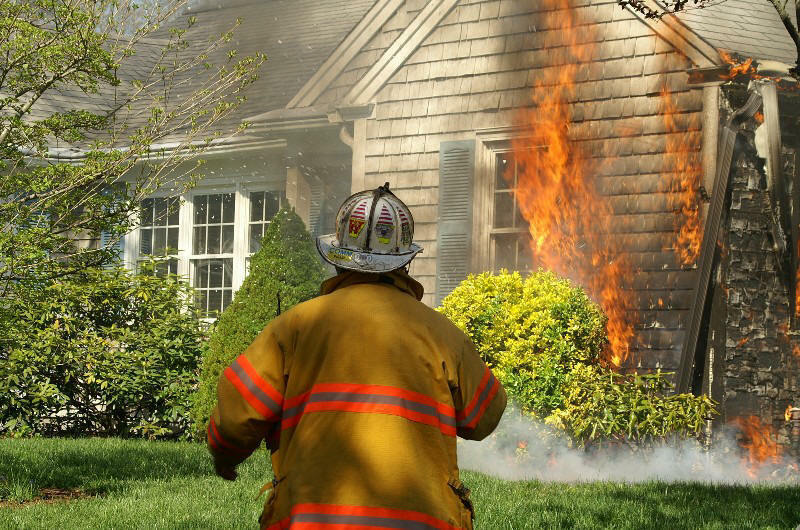 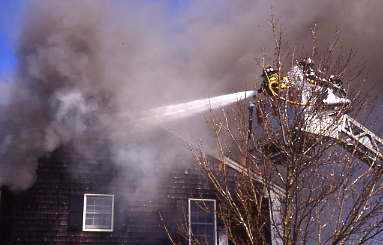 Bourne fire fighters operating at house fire on Easting Road. 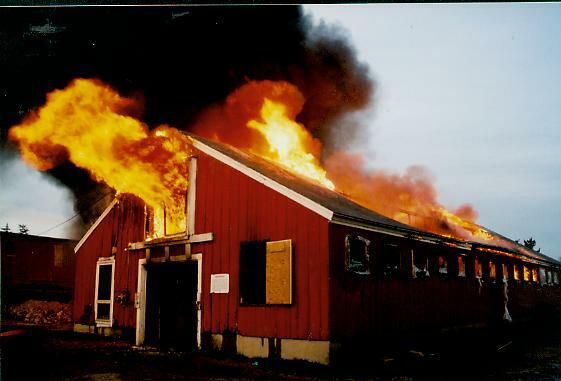 West Barnstable 4 Alarm Barn Fire May 11, 2002.
airplane crash drill in October 2003.
from Hyannis for Tower 829. 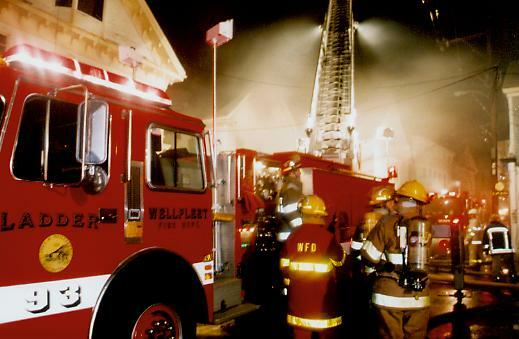 Onset Ladder 1 about to operate the ladder pipe. 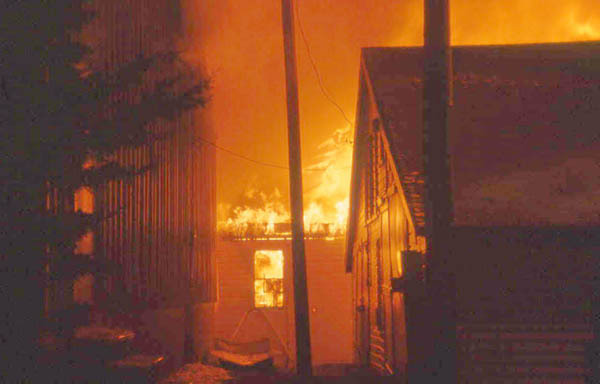 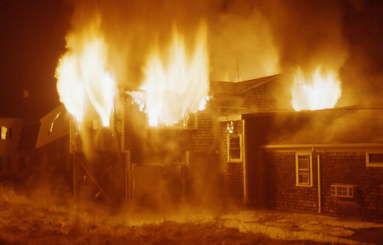 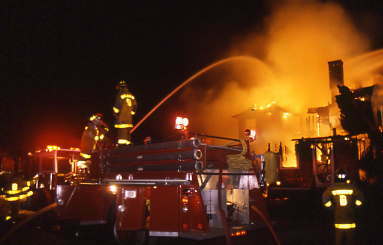 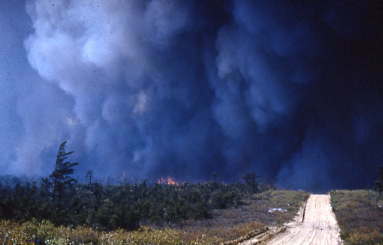 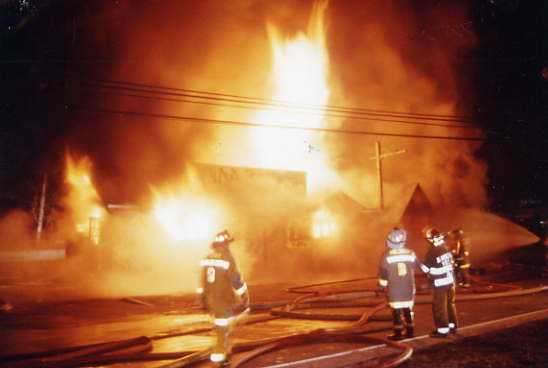 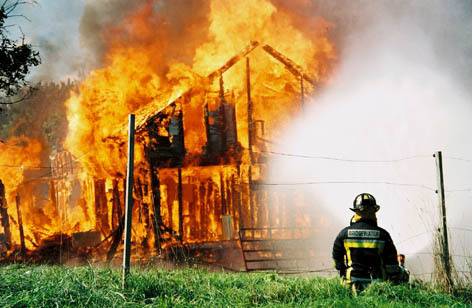 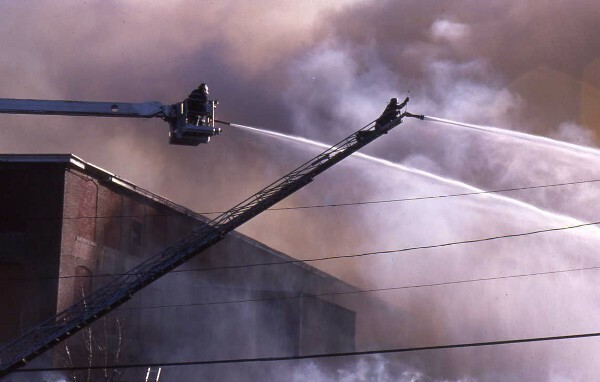 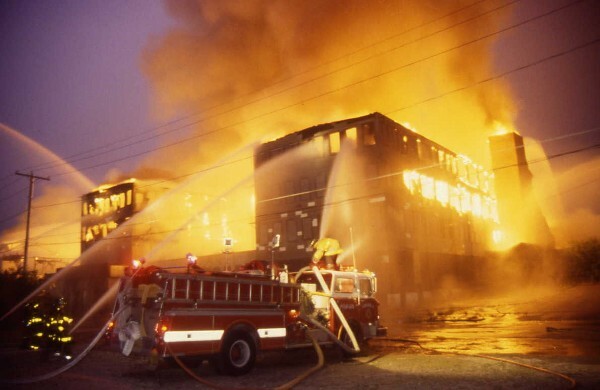 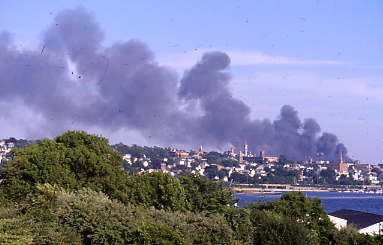 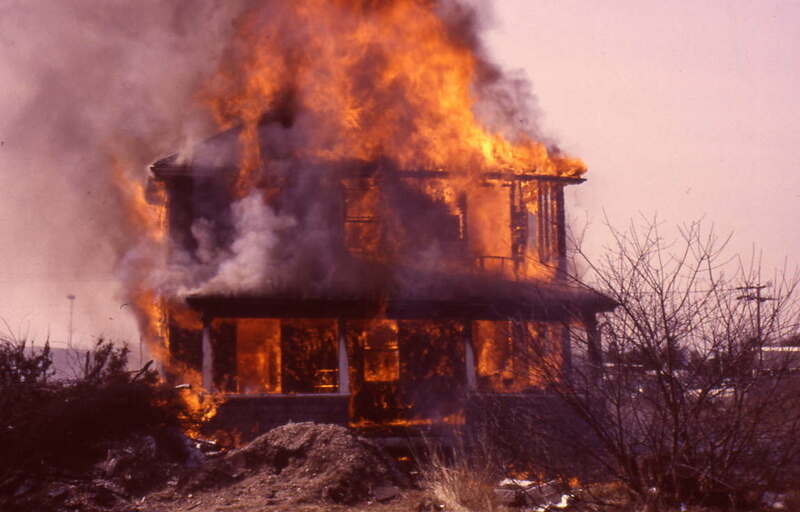 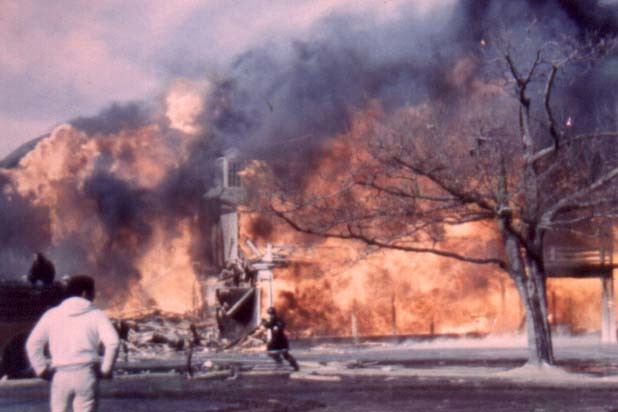 Photo of an intense forest fire in Carver in May 1964.
during a 3rd alarm fire on March 14, 2002.
in Eastham March 2004. 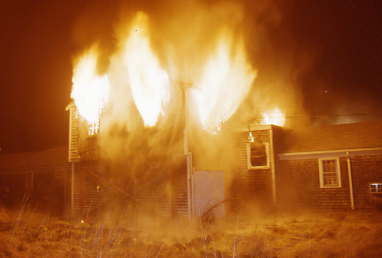 More this fire. 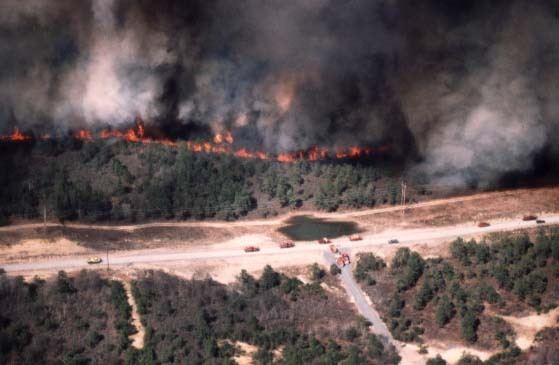 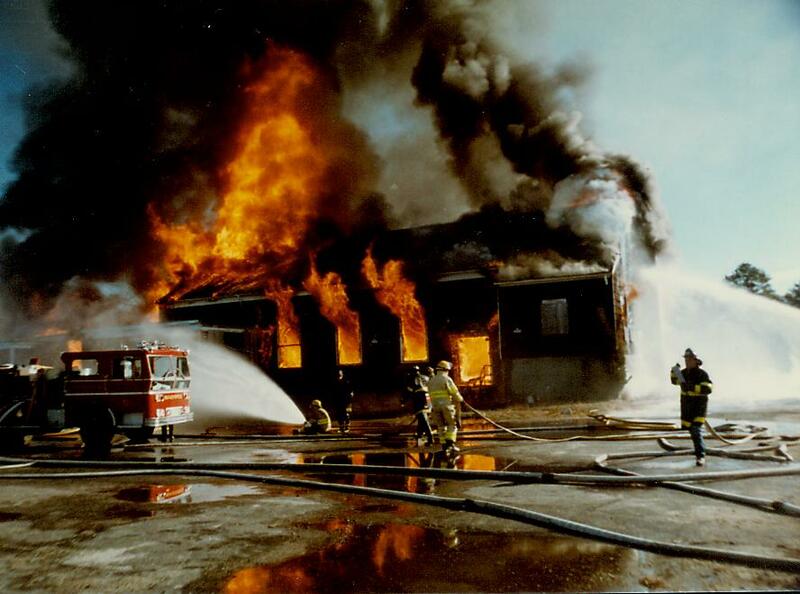 Photo of the April 22, 1988 "Pave Paws" brush fire at Otis. 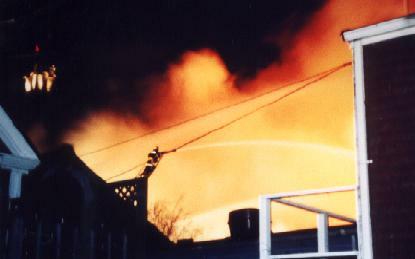 on the power lines as the fire approaches. 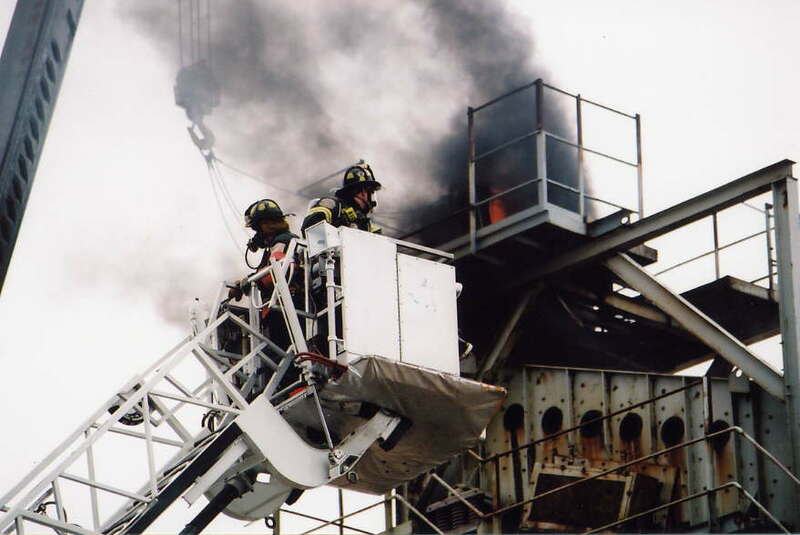 showing the 'Fire Bird' Platform 1 and I think Ladder 3 operating. 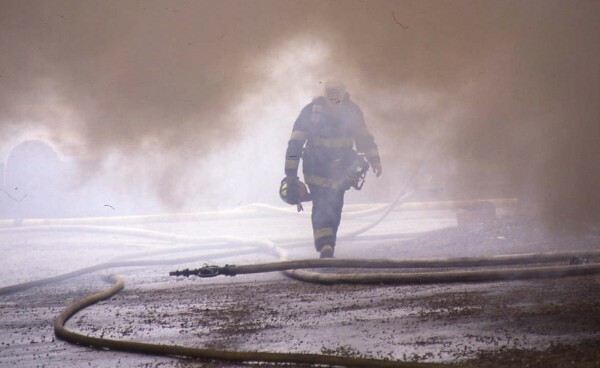 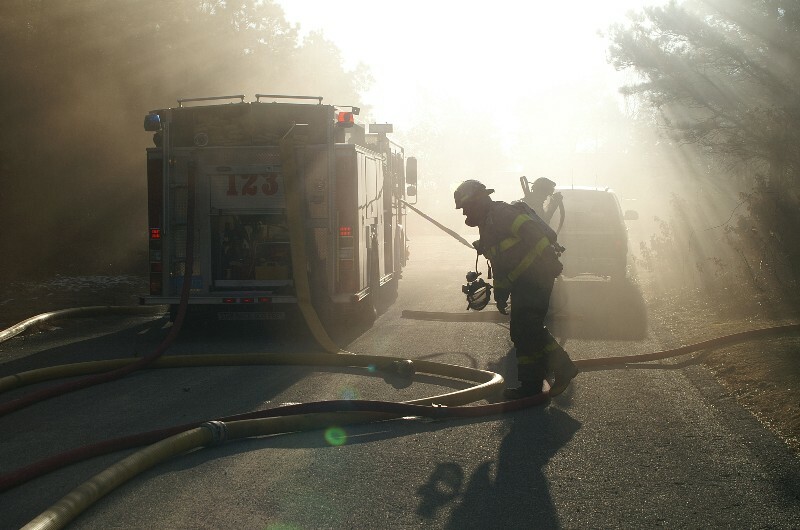 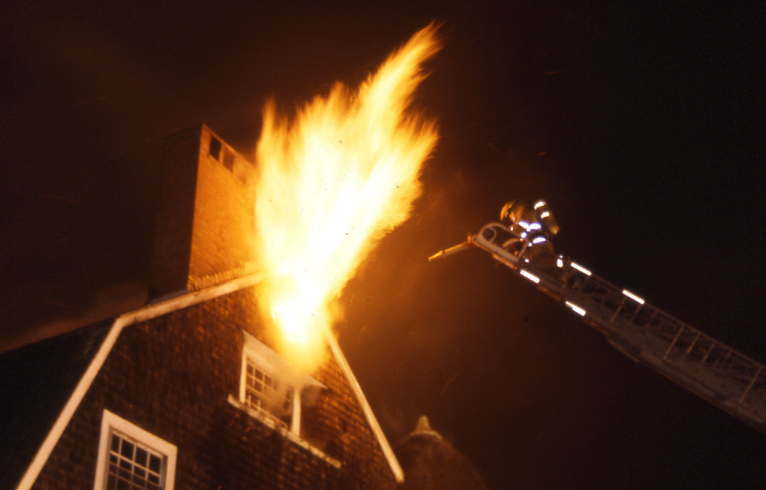 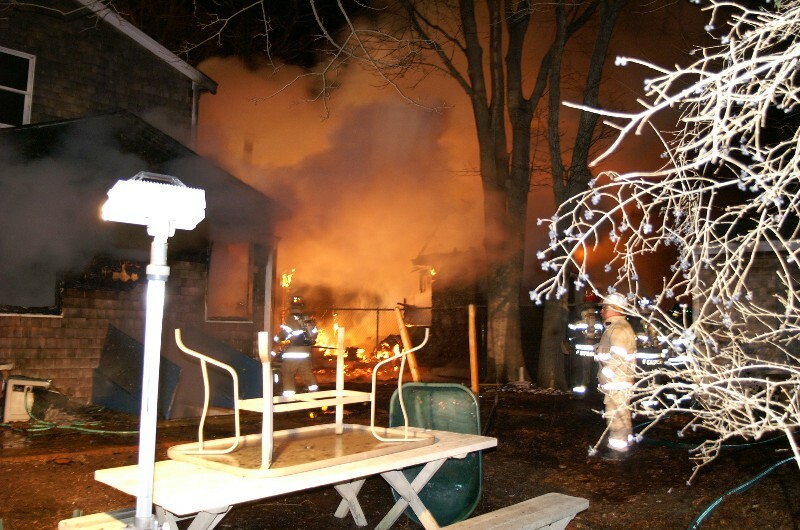 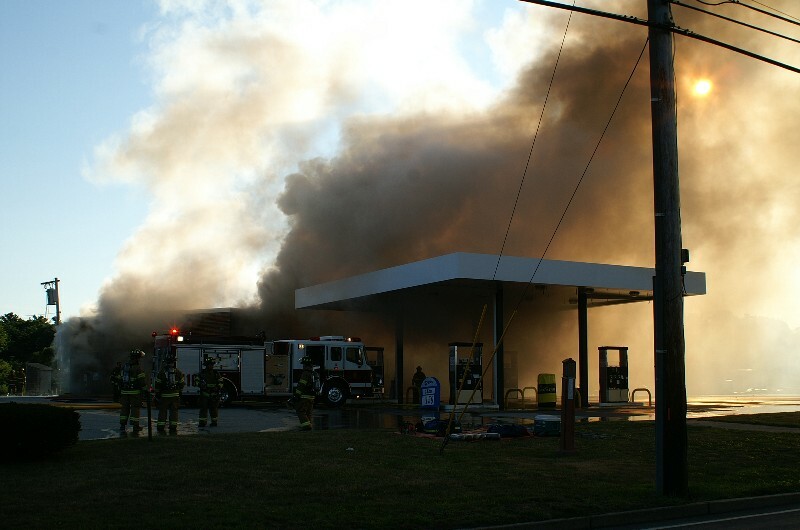 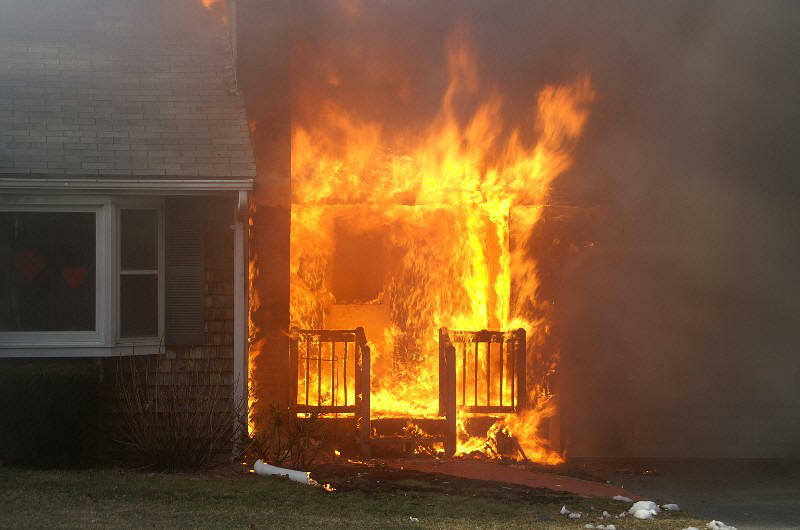 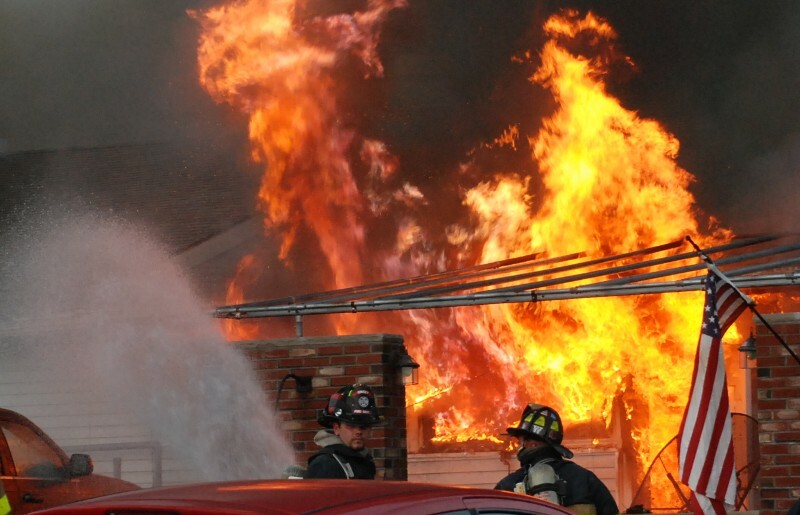 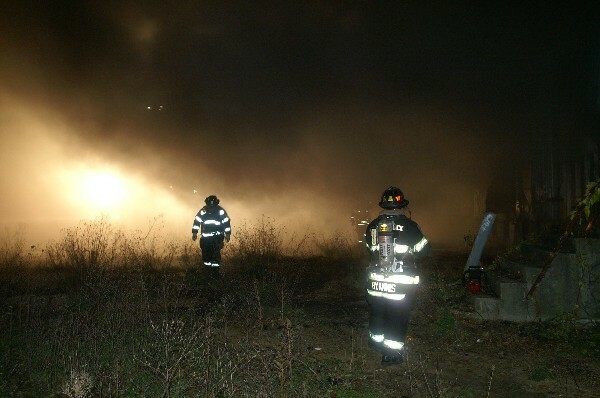 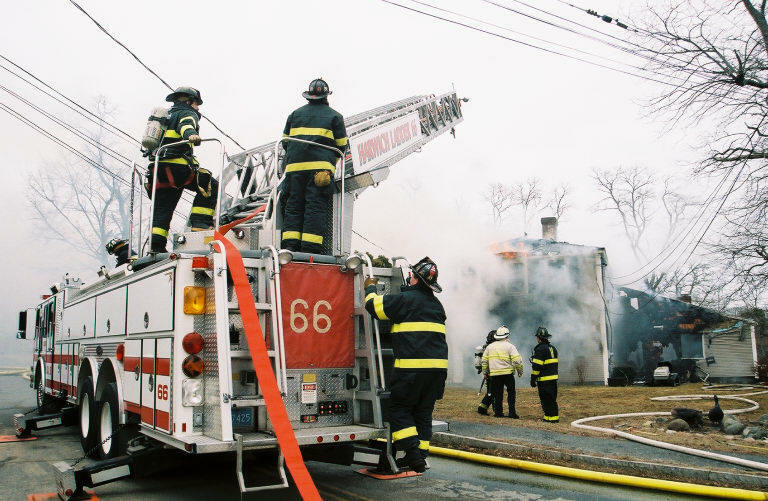 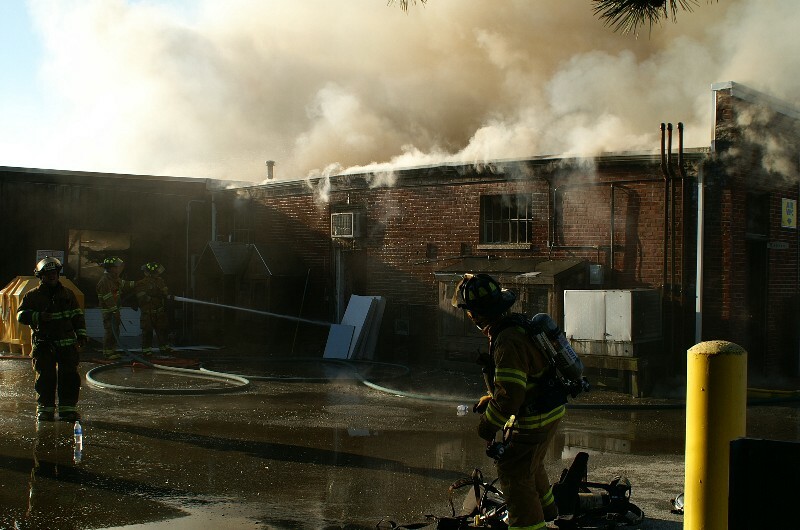 Photo of a training fire in Middleborough several years ago. 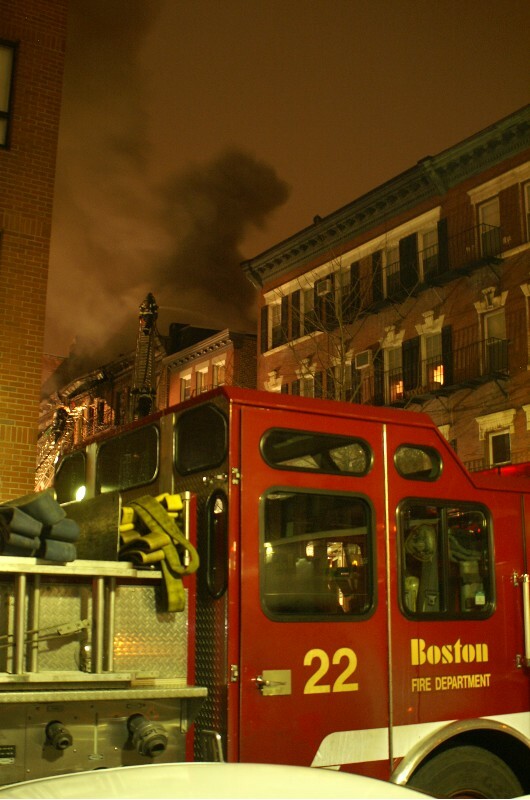 Firefighters rescued one victim over ladder and evacuated others. 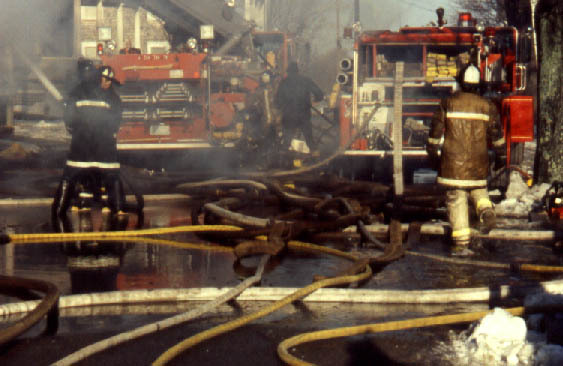 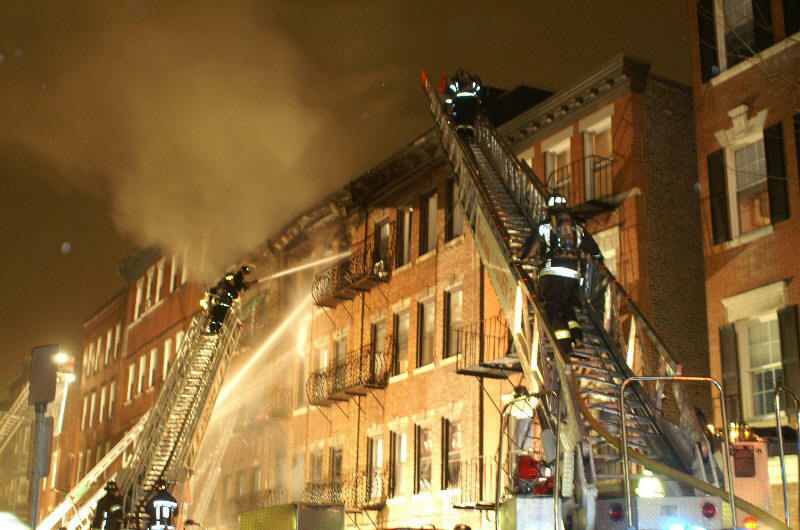 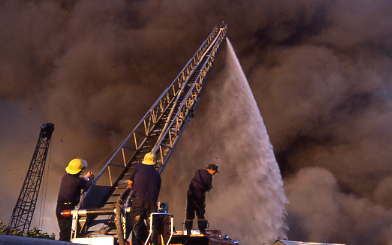 Mutual aid from several communities.